Elizabeth is new at her school, and she wants to make some new friends. Her social studies teacher recommends that she take a job at the Repository, where they store ancient and even magical items that people can borrow. It also houses the Grimm Collection, a room that holds things like Cinderella’s glass slippers or the seven league boots or even a magical tablecloth…but someone starts to steal things out of the collection and Elizabeth and her newest friends decide to find out who it is. This novel is not for the faint of heart, as it holds many surprises and is perfect for those who like a mystery around every corner. It even deals with real world problems, along with the magical ones. I enjoyed it a lot, and it had a good plot. I got quite attached to the characters and enjoyed how the author mixed realistic things with magical. 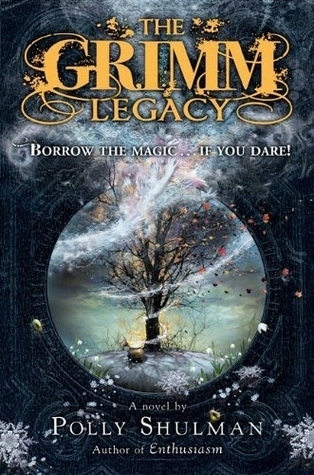 The Grimm Legacy is perfect for people who like a little fantasy that takes place in the real world.